Whether you are building your very first website or simply searching out new domains for your existing site, 1&1 IONOS is here to help. What's more, with our comprehensive selection of .99 pence domains, you can register the perfect name for a whole lot less than you may have thought. High profile TLDs are available for you to register through 1&1 IONOS dedicated domain checker – giving you the opportunity to build professional websites without blowing your budget. With a 99 pence domain, you have the opportunity to choose between some of the most popular TLDs on the web – giving your website instant prestige and visibility. These TLDs are often considered the global standard and help instill trust within your customer base. Your site will retain an enviable level of professionalism and visibility when you choose one of our popular .99 pence domains. Alongside £1 .uk domains, 1&1 IONOS is pleased to offer a huge variety of different TLDs to ensure you don't have to compromise on your website name. Our domains may be a great addition to your promotional campaign, giving you the chance to expand your web presence and build customer relationships.Our .co.uk domain is available at the special offer price of £1 for the first year. This means that whatever type of website you wish to build, choosing this domain means you don't have to spend the earth to get started. What's more, with the comprehensive support offered by 1&1 IONOS, you can be sure that your £1 domain is just the first of any number of great savings as you build your website. Having successfully registered more than 19 million domains for both business and private customers, you can be sure that your £1 domain is in the right hands. 1&1 IONOS is proud to boast a community of over 13 million customers located all over the world and, with a commitment to both reliability and innovation, we guarantee that your website will be looked after - both now and well into the future. When you choose to register your £1 domain with 1&1 IONOS you will also benefit from a company with the most advanced technology and security. With more than 70,000 web servers, 1&1 IONOS provide customers with 99.9% uptime alongside powerful security software to ensure your data is never compromised. Can I build a professional website with 1&1 IONOS? Once you have secured your ideal domain with our domain checker, 1&1 IONOS has a variety of powerful tools and utilities to help you realize your perfect site. The 1&1 IONOS MyWebsite packages offer everything you need to manage your sites make your business or organization successful. Whether you wish to create your own personalized email address or simply need a redirection address, 1&1 IONOS makes the process quick and simple. Each package also includes an easy to use website builder to help you create content for your domains alongside the option of transferring existing domains that you may already own. Alongside this, our advanced packages include a range of marketing tools to help your domains really stand out from the crowd. These will allow you to optimize your domains so they enjoy greater visibility and exposure on the web and throughout social media. Finally, when you combine your £1 domains with a 1&1 IONOS MyWebsite package, the sheer simplicity of our tools and utilities mean that you will require no previous knowledge of website creation to build a professional and attractive website in no time at all. If I choose 1&1 IONOS as a provider for my domain - what are my benefits? Didn't you offer 99p domains in the past? Yes. 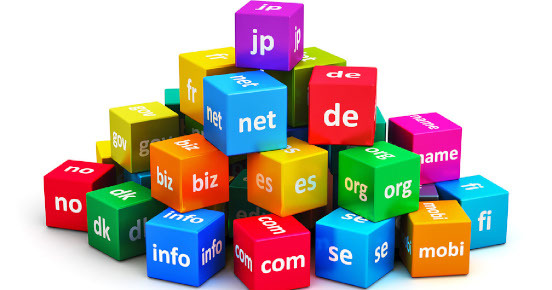 In the past, we offered a range of 99p domain names to our customers. In fact, our aggressive 99p domain prices have received a lot of attention in our industry. However, we have decided to change our offers: where we offered 99pence domains prices plus additional fees separately in the past, we now charge you £1 for the domains offered with all fees already included. This will hopefully increase price transparency for our customers.